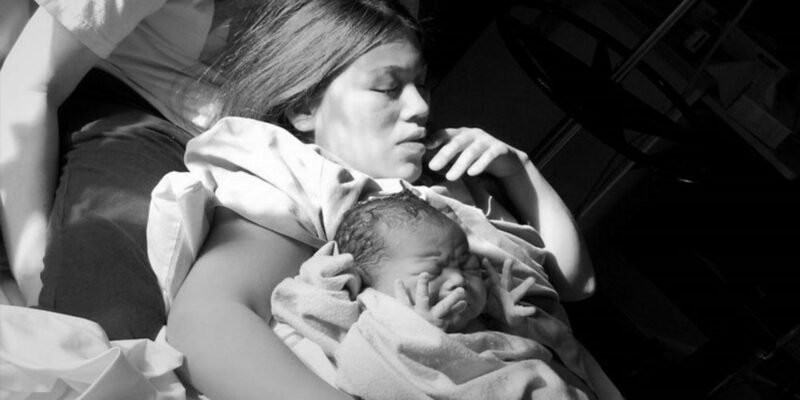 Like many Inuit women, when Akinisie Qumaluk’s due date approached, she was sent to Moose Factory, Ont. from her village in northern Quebec. This wasn’t anything new. Evacuating pregnant women in northern communities became unofficial policy in Canada in the 1960s and 1970s in some communities and continues in most northern communities to this day. “When we were evacuated to Moose Factory we were away from our families, we were away from our own country food, most of the women were away for weeks at a time and that wasn’t good for some families,” Qumaluk said. The idea was that modern technology would improve childbirth outcomes. Not everyone saw it this way. “Women need that culturally secure and safe space to just be who they are, be honoured and their needs be met,” says Ellen Blais, co-chair of the National Aboriginal Council of Midwives. Midwives such as Blais and Vicki Van Wagner say that outside of North America, midwifery is widespread. In Canada, Van Wagner, a professor of midwifery at Ryerson University, says that some healthcare professionals might not know what a midwife does. Van Wagner says that in the 1940s and 1950s, many babies were born on the land under the care of Indigenous midwives. In the 1970s midwifery fizzled out and evacuation became policy as birth became more medicalized. The evacuation itself could cause more adverse health effects than necessary. Blais says that when you’re stressed out while pregnant, your body releases stress hormones which can have adverse physical effects on the baby. Intergenerational trauma from Canada’s colonial history adds to the trauma, says Blais. When women are flown from their communities they are usually alone for five weeks living in hotel rooms when they’re not at the hospital. They don’t have regular access to home-cooked meals and if they have other kids at home, they have to arrange for their care, among several other things. “You shouldn’t give birth lonely and alone, that’s just human rights, wrong,” Van Wagner says. Wolfe says that Ontario sees midwives as low-risk health providers for a specific time period. She says this doesn’t match with Indigenous views of midwifery. 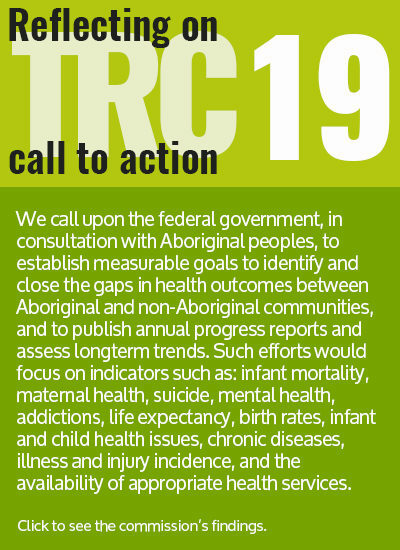 “Our community needs support and needs healing and needs access to care that is culturally safe and secure, that does incorporate teachings and practices,” says Wolfe. Wolfe says that midwives are often asked to participate in milestone ceremonies and are valued in Aboriginal communities. Wolfe works at Seventh Generation Midwives Toronto. She notes that the access to proper birthing care is just as bad in cities as it is in remote areas. “The experience of racism is disproportionate in the healthcare system,” Wolfe asserts. Wolfe says that many healthcare professionals unfairly generalize Indigenous patients as stoic and as addicts. That’s why, she says, they’re often denied analgesia at hospitals. Indigenous midwives work long-term with pregnant women to help them coordinate medical appointments. Because they come from similar backgrounds, Indigenous midwives often have empathy for the women under their care and are sensitive to their cultural needs. This is why Indigenous midwives say that expanding access to midwifery would improve health outcomes. But culturally safe birthing spaces for Indigenous women are as sparse in Toronto as they are in northern Quebec. “Right now more than ever there’s been a concerted effort to reclaim our customs and traditions and one of the times when people are most motivated to do that is when they’re having a baby because they want something better for the next generation,” says Wolfe. From a health perspective, Van Wagner is adamant that midwifery provides better outcomes. And the evidence backs up her claim. Researchers from McMaster University analyzed data from planned births in Ontario between 2003 and 2006. Lead researcher, Eileen Hutton and her team found negligible differences in the outcomes of planned homebirths and planned hospital births with midwives in attendance. But it goes beyond health outcomes. Government-imposed evacuations are seen as an infringement of Indigenous people’s autonomy. “Don’t impose your ways on us anymore because we have our own and they’re beautiful and they’re very meaningful for us,” asserts Blais. An example from northern Quebec shows how a rural community brought birth back home. Thirty years ago, a village in northern Quebec campaigned for its own birth centre run by Inuit midwives. In 1986, Puvirnituq, Quebec opened a health centre that supported midwifery, after repeated calls from the community. The Inuulitsivik Health Centre recruited ‘southern midwives’ to train Indigenous midwives in the community. This is how Van Wagner came to Puvirnituq. Even though midwifery wasn’t regulated in Quebec in 1986, midwives practised anyway. “We were kind of a legal policy challenge to the system,” says Van Wagner. When opening the health centre, the Quebec government dodged the issue by recruiting nurses with midwifery training. They opened the centre even though midwifery wasn’t provincially regulated. The midwives instructed Indigenous pupils and, in turn, learned how to work in the community. In 1998, Quebec legalized midwifery. The law, however, didn’t recognize Indigenous midwives from Puvirnituq as legitimately accredited midwives. The only designated training program in Quebec was at the University of Quebec in Trois-Rivières—far from Puvirnituq. “That was a real culturally insensitive error,” says Van Wagner. Van Wagner says it was a “real political dilemma” for Quebec to recognize the program in Puvirnituq. Van Wagner says the program is as intense as a university program, but incorporates Indigenous traditions into the curriculum. Akinisie Qumaluk who once was evacuated to give birth, is now an elder midwife in Puvirnituq, Que. After the success of Puvirnituq, two more centres opened in Inukjuak in 1998 and Salluit in 2004. Akinisie sees the change midwifery affected in her community. Correction: A previous version of this story incorrectly stated Akinisie Qumaluk’s current place of work and residence. DAVID GREENBERG is a masters candidate at the Ryerson School of Journalism. David is passionate about stories, well told. He is a Montreal expat in Toronto and is on his last frozen bagel. David pursued a double major in history and film studies at the University of Western Ontario. His romantic vision of himself as a journalist is that he is a stenographer of history. Don’t bother asking his top ten movie list because he won’t answer such a silly question.